So far, this has been a really great year for tomatoes. In order to use up the bounty, we've been making big buckets of fiery salsa pretty much every weekend. 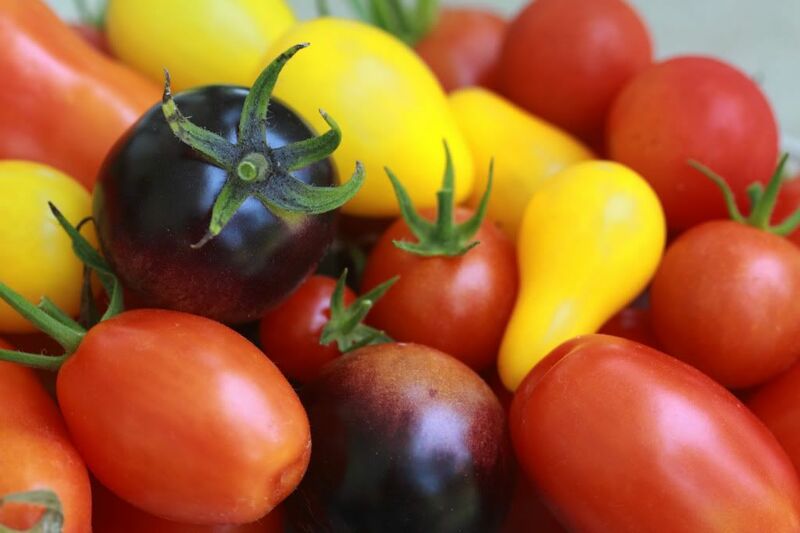 Today we harvested over five pounds of tomatoes, a colorful combination of Park's Whoppers, Arkansas Travelers, Romas, Yellow Pears, Sweet Baby Girls, and Brandywines. We weighed them and put them in the refrigerator, which was already overflowing with tomatoes picked earlier in the week. Afterward, Rob kept peering into the refrigerator at our bowls and bowls of tomatoes and saying in his cheerful, enthusiastic way, "We've got so many tomatoes, it's a problem!" I asked him what he felt like cooking this weekend and he said, "I don't know, but it better call for lots of tomatoes!" It's a big year for hot peppers too. We've got so many cayenne peppers that we're actually planning on stringing them up and drying them. I'm really looking forward to this project, mostly because I think the kitchen will look really pretty festooned with bright, shiny pepper garlands. The cayennes are sooo pretty, the truest red. I wish I had a pepper picture to show you, but sadly I don't, so I'll have to make do with this coneflower shot. 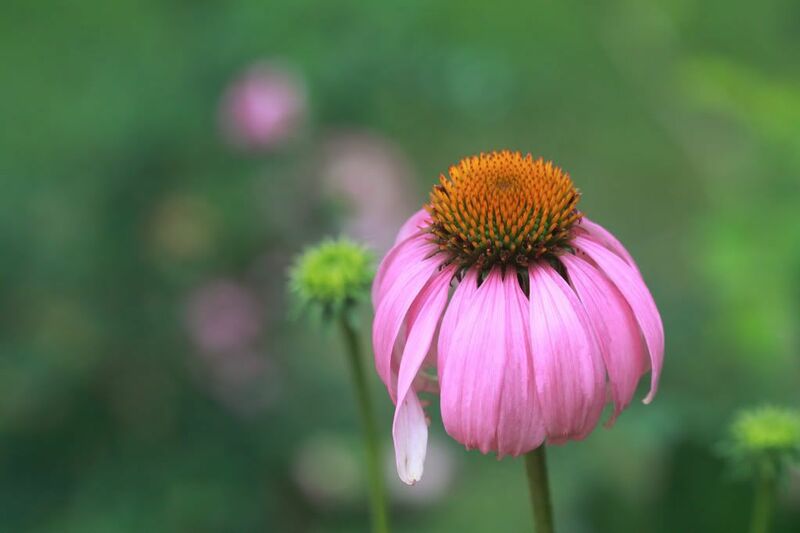 I love the picture of the coneflower. What kind of camera do you use? Thank you! It's an old Canon 20D. I'd really like to upgrade to a 5D like my sister has. Oh, good. I'm so glad to hear it!